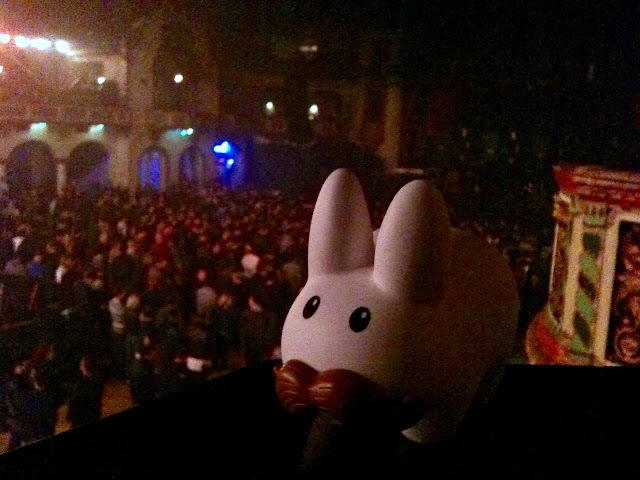 And now, some old, fuzzy photos of Pipkin at the Queens of the Stone Age concert at the Aragon Ballroom, back in May, 2014. 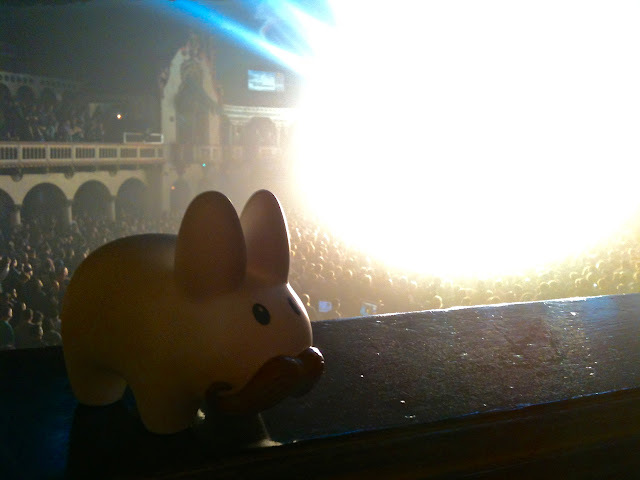 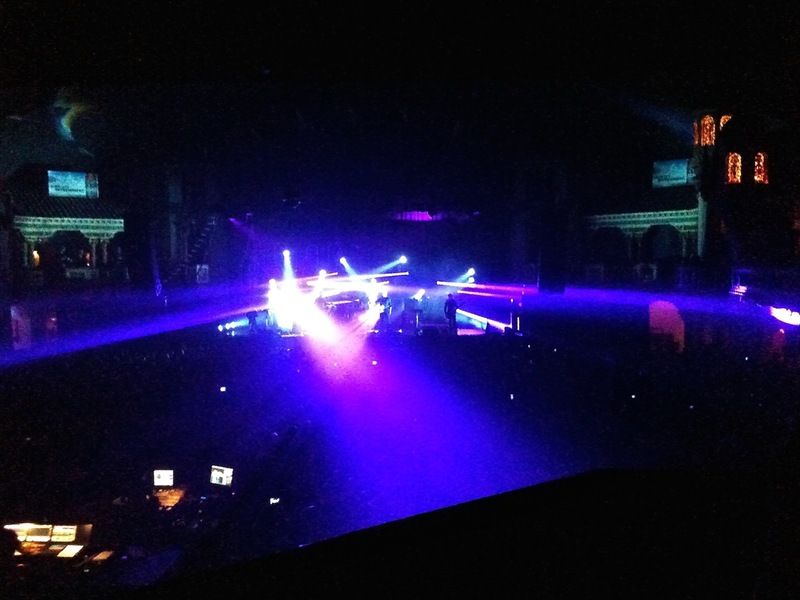 Aragon Ballroom is a beautiful venue with a large stage and main floor, and a large balcony to provide shorties like Pipkin with a great view and less of a chance of being trampled at a lively show such as QOTSA. This photo captures the feel of a QOTSA show: awesome, powerful, explosive, fiery, and such a f'n BLAST.